The Ixos XHS133 Super Flat Speaker Cable is a doodle to hide thanks to its discreet flat design. It boosts a 1.0mm PC-OFC conductor to give a high performance standard. 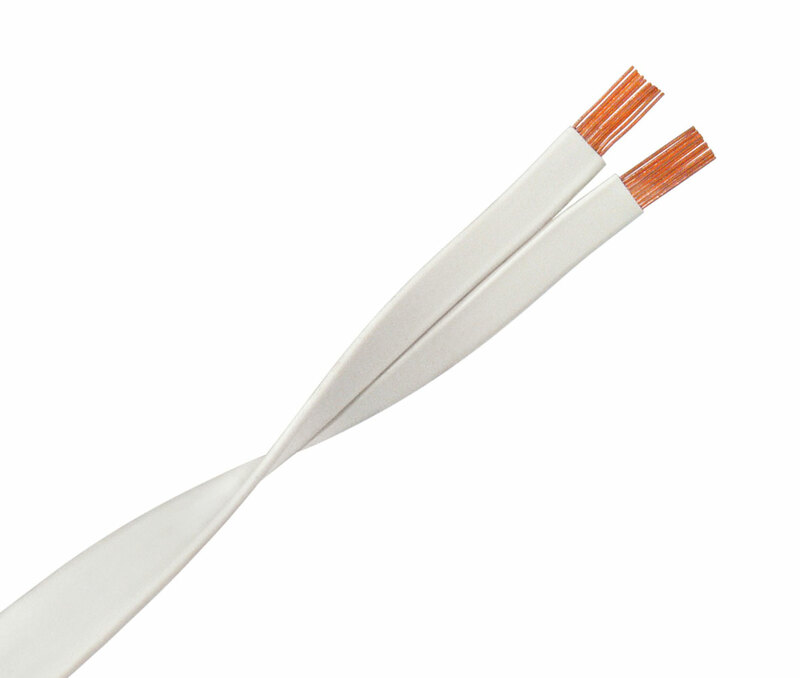 This fantastic cable is ideal for surround sound speakers and comes in a neutral white finish. Ixos use Oxygen Free Copper (OFC) Conductors. The conductor carries delicate audio or video signals and is therefore a critical factor in good performance. While the conductor material is obviously important, of equal importance is the purity of the material used. Oxygen Free Copper (OFC) is by far the most widely used material and comes in many grades. IXOS High Grade PC Oxygen Free Copper (PC-OFC) is the highest purity grade OFC conductor available. IXOS PC-OFC delivers significantly improved overall audio and video performance.